This page notes details of Floodgate Trap Hole (Trap Card/Normal) : decks, tips, effect and rulings. Learn and enjoy playing Yu-Gi-Oh! Duel Links! The affected monster can't change its battle position. You can possibly lock your opponent's monster zone if he/she has no tribute monsters. Use Floodgate Trap Hole when your opponent Summons a Monster. Then disable the 2 remaining zones by using Ojama Knight's effect. You can then wait to get the cards that you needed or burn your opponent. The text "monster(s)" on Floodgate Trap Hole means that it can affect multiple cards. See these screenshots below for example. The opponent used The Flute of Summoning Dragon to Special Summon 2 Blue-Eyes White Dragon on the field. Then the Floodgate Trap Hole prompt pops up. Floodgate Trap Hole is Activated. Both of the Blue-Eyes White Dragon has been switched to face-down defense position. These pretty much form the backbone of all my decks. I have found that regardless of the meta, which changes so quickly due to the new releases, I am in with a fighting chance. Seems like your going to use these cards to camp. Canadia is generally more useful as you can activate it during the battle phase,and his second effect is pretty neat for Synchro or Tribute fodder. Floodgate works better in Stall/Burn decks and against decks that special summon more than one monsters (Like what was shown in the example gallery since it can shut down more than one monsters). I'd go with Canadia. It's more versatile as it isn't only limited to special summoning or regular summoning. You could use it in the battle phase too. What will happen if you chain Mask Change to Floodgate? Will my Anki be flipped facedown? Or the monster that I summoned first? 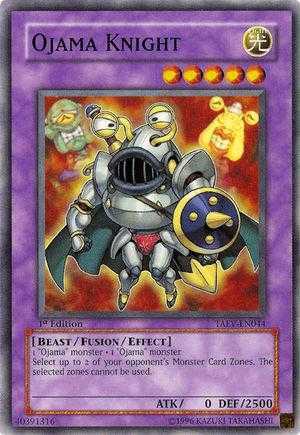 Probably one of the best cards in the game right now alongside canadia and drowning mirrorforce. Today I beat some whale who has 3 of this cancer, with him having successfully having used all 3 on me during the duel. That felt great. An UR in a large box that's like the second worst of the game, and there are people who have 3... what the hell is wrong with the world. Whoever I see using more than 1 of this, be ready to have one hell of a tilt duel as I will pull the most cancer tactics possible. That's not the pt. The newbies currently would said the same thing next time too and at the mercy of konami based on your logic. Maybe the whole point are p2w jerks abusing op cards. I know these people can afford it, but seeing them abusing this way are just disheartening. If you are f2p and have 3 of THIS out of all big box UR you're as terrible as p2w jerks. With limited resources you should focus on big box URs that are monsters, since monsters are what makes the game. 3 of this card = you dedicated all your resources to a big box with 2 or so good monsters and the rest of all cards are absolute garbage. You made a big effort for the most cancerous trap ever. You were doing good there.....until the last sentence. Now it sounds more like you're just salty some players have 3 copies for free, just by using gems. After 3 months playing, i got 3 of this and 3 canadia amd other good traps, feels good f2p man. I mean 3 of this , 3 canadia and other good traps, like 3 WoD, drowning, etc. And im not your dude,bro. I've been slacking 4 a while as well. But I managed to get to copies of it and use a widespread ruin to substitute the 3rd one.